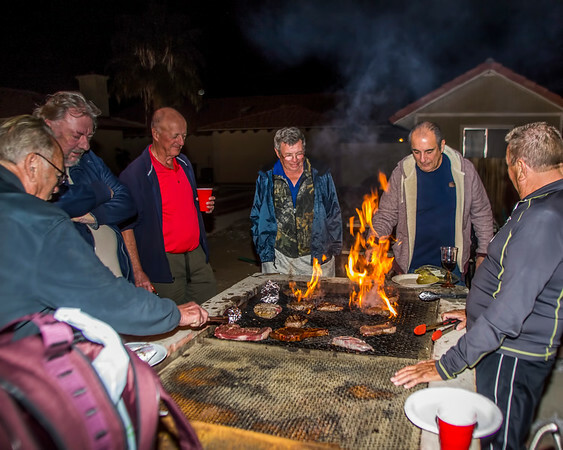 29 Palms RV Resort: The grill is hot and filling up! Wednesday evening Happy Hour and BBQ is one of my favorite times. The group is getting larger every week and more and more are staying to cook on the grill. 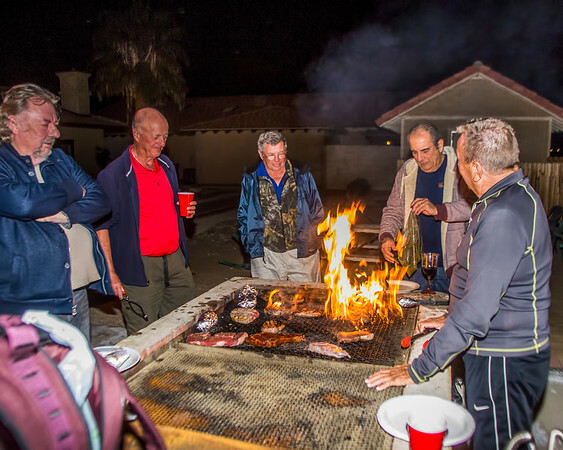 It is a great time for the guys to hang out and BBQ together - everything from chicken, steaks, sausage, vegetables and even elk and moose. Carmine pouring oil on his steaks to get a good sear!! Make a point of heading to Happy Hour every Wednesday at 4:30 and bring something for the BBQ at 6:00 pm and enjoy dinner in the clubhouse! Saturday Night dinner is to celebrate Chinese New Years so Oriental theme on the dinner and of course music and dancing after dinner.